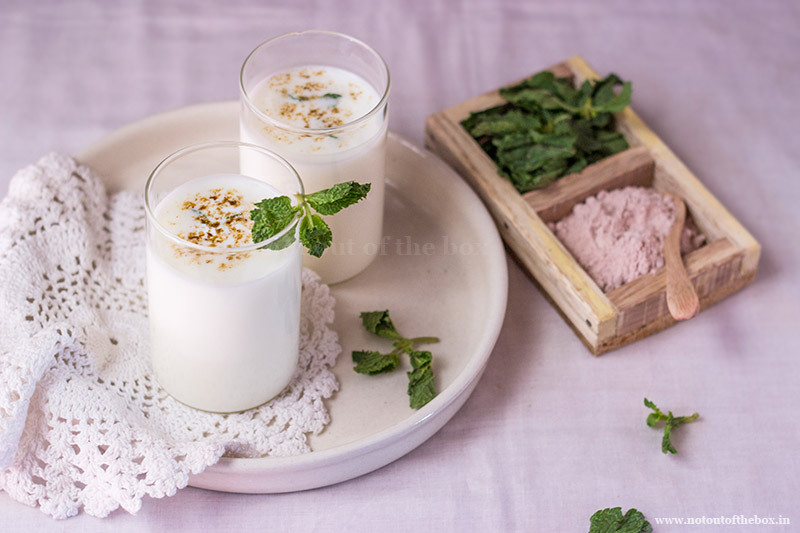 ‘Chaas’ is a popular Indian salted buttermilk drink. It works excellent as a body cooler in summer and helps to digest food. There are other variations of chaas can be found in different region of this country. Masala Chaas and Pudina Chaas are the other variants. 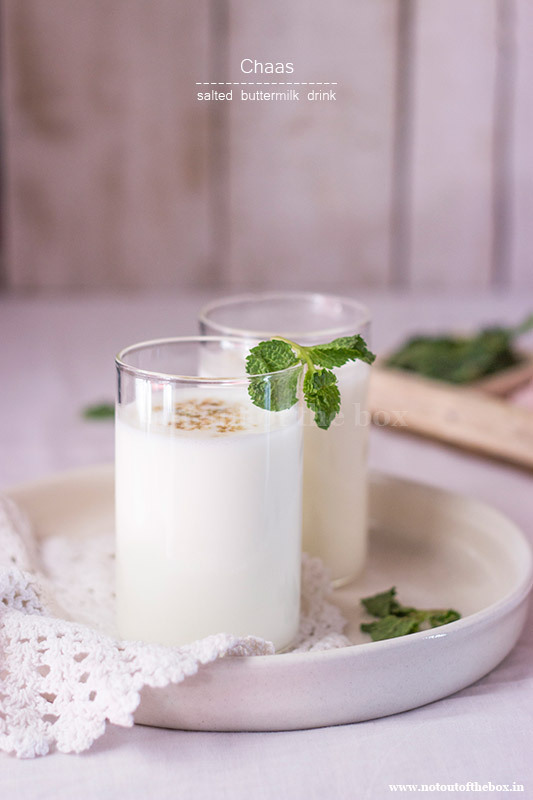 This version of Chaas is simple, just made with very basic ingredients. In North India people mostly prefer to drink Chaas like this. We have this every day, it’s mandatory for us to drink one glass of chaas after breakfast or lunch. It works as an appetizer too, if taken before meal. It works both ways. If you’re cold prone or having cold, then don’t drink this at night. To make roasted cumin seeds powder, dry fry the cumin seeds on a frying pan. Grind them to a coarse powder using your mortar and pestle. Now add everything in a blender except ice cubes and mint leaves. Blend until a smooth mixture forms. Chaas is ready, pour this into glasses. Top with ice cubes and mint leaves. Sprinkle some chaat masala over it, serve immediately.